We are working toward constructing the Shakambhari Devi Temple in the Richmond, Virginia area. 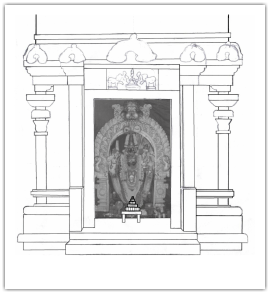 The Temple will include sannidhis (shrines) for Shakambhari Devi, Ganapati, Murugan, Dhanvantri, and Shivalingam. The temple will be open to meet the spiritual needs of visitors and for puja services. We are seeking sponsors for the Murtis (icons) and for other expenses for opening the Temple. In preparation from opening the Temple we are asking the devotees to chant with us to attract the grace of Shakambhari Amman.